Canada's Milos Raonic announces on Instagram that he has withdrawn from the US Open tennis tournament with a wrist injury. 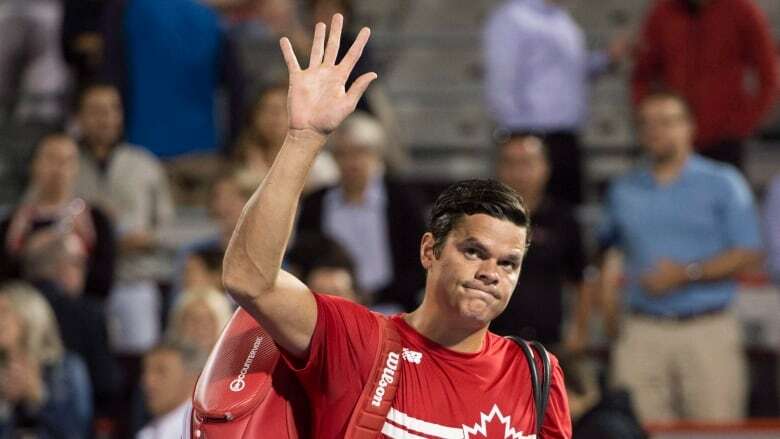 Canada's Milos Raonic announced in an Instagram post on Wednesday night that he has withdrawn from the US Open tennis tournament with a wrist injury. Raonic, who grew up in Thornhill, Ont., said that he tried everything in his power to rehabilitate in time. "The pain is too great and, in consultation with my doctors, I am left with no option but to withdraw from the event," he said in the lengthy post. The 26-year-old said that he has been dealing with the left wrist injury for weeks and that he has a painful condition. Raonic added that he "underwent a procedure to remove portions of the bone that have been causing the discomfort and preventing me from being able to play the way I normally can." Raonic said that missing a "truly special" event like the US Open is difficult. "I am crushed to miss this event and a chance to play in front of the fantastic New York crowd, but I truly had no other options," he continued in the post. "I am already back in the gym starting my rehabilitation, and hope to be recovered and back on the court in a matter of a few weeks. "I look forward to rejoining the tour healthier and stronger and finishing the 2017 year in proper form." The 11th ranked player in the world was forced to withdraw from the Western & Southern Open last week. Raonic lost 6-4, 6-4 to Adrian Mannarino of France in the second round of the Rogers Cup in Montreal earlier this month. He said after the match that the wrist injury had flared up. Raonic reached the fourth round of the US Open in three consecutive years from 2012-14, his best results at the final Grand Slam of the season. The US Open starts Monday. Raonic joins 12-time major champion Novak Djokovic, 2016 US Open champion Stan Wawrinka and 2014 finalist Kei Nishikori in missing the tournament because of injuries. Also sitting out the action at Flushing Meadows: 23-time major champion Serena Williams, who is pregnant, and two-time Australian Open winner Victoria Azarenka, who is dealing with a custody case involving her baby son.